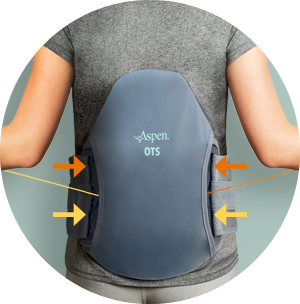 The Aspen OTS™ Lumbar 642 features the lowest profile design within the Aspen OTS line. 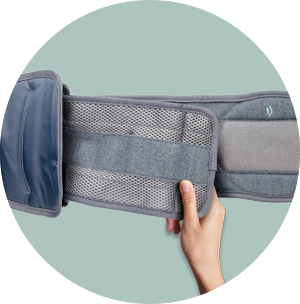 This one-size adjustable, inelastic brace offers a clinically-tested technology for patients experiencing low back muscle spasms causing pain. 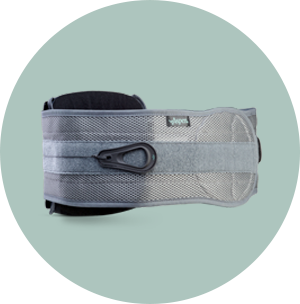 As a non-narcotic, non-invasive treatment solution, it combines the needed level of support coupled with direct independent compression to promote effective trunk stability, enabling patients to regain activities of daily living. Comfortably fits waist sizes ranging from 28-54 inches, and up to 64 inches with Universal Extension Panel. Designed for extended wear and can be comfortably worn underneath clothing. When tightening, the firm but flexible back panel naturally conforms to the patient’s lordosis to provide structural support. The patented pull‐through sizing mechanism and highly visible size indicators allow for quick and easy adjustments. 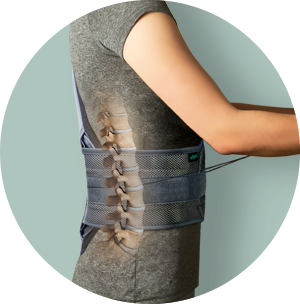 Accommodating a wide range of patient anatomies, each brace can fit waist sizes ranging from 28‐54 inches and up to 64 inches with the extension panel. One size adjustable means the correct size is always on hand, minimizing inventory requirements and significantly reducing costs.